In this wise and intimate telling—which carries us through the seasons when her marriage was ending—Sharon Olds opens her heart to the reader, sharing the feeling of invisibility that comes when we are no longer standing in love’s sight; the surprising physical bond that still exists between a couple during parting; the loss of everything from her husband’s smile to the set of his hip. Olds is naked before us, curious and brave and even generous toward the man who was her mate for thirty years and who now loves another woman. 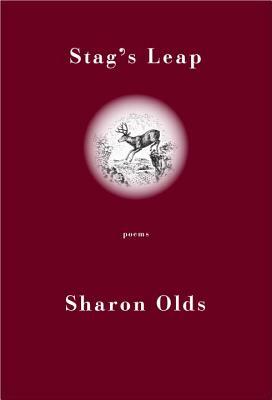 As she writes in the remarkable “Stag’s Leap,” “When anyone escapes, my heart / leaps up. Even when it’s I who am escaped from, / I am half on the side of the leaver.” Olds’s propulsive poetic line and the magic of her imagery are as lively as ever, and there is a new range to the music—sometimes headlong, sometimes contemplative and deep. Her unsparing approach to both pain and love makes this one of the finest, most powerful books of poetry Olds has yet given us. SHARON OLDS was born in San Francisco and educated at Stanford and Columbia universities. Her first book, Satan Says (1980), received the inaugural San Francisco Poetry Center Award. Her second, The Dead and the Living, was both the Lamont Poetry Selection for 1983 and winner of the National Book Critics Circle Award. The Father was short-listed for the T. S. Eliot Prize in England, and The Unswept Room was a finalist for the National Book Award and the National Book Critics Circle Award. Olds teaches in the Graduate Creative Writing Program at New York University and is one of the founders of NYU's writing workshops for residents of Goldwater Hospital, and for veterans who served in Iraq and Afghanistan.